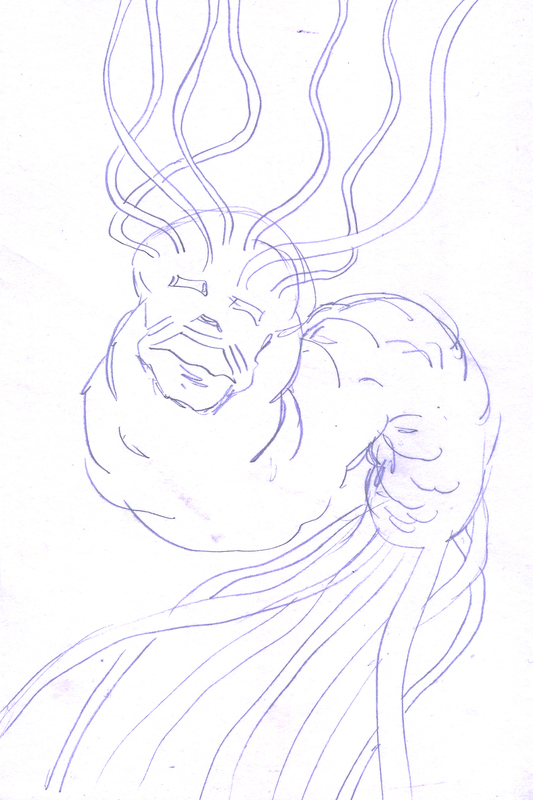 The added tendrils are optional. 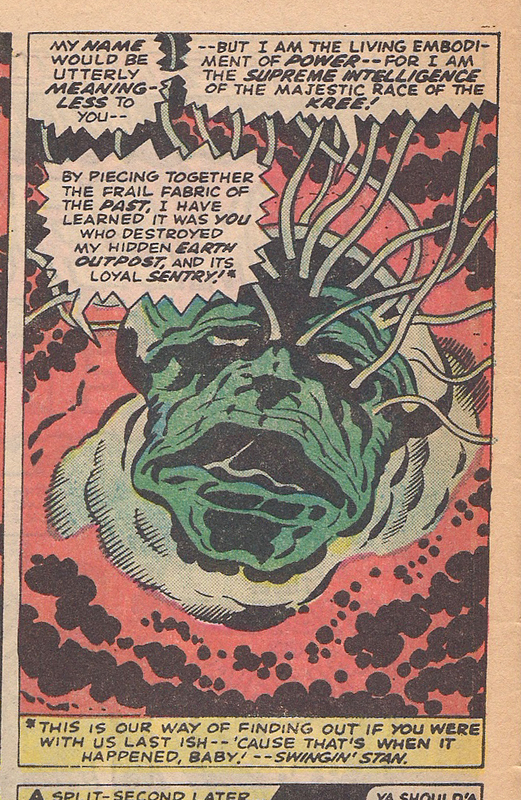 One last bit of speculation: just like Captain Marvel was a Kree version of Fawcett’s Captain Marvel, I wonder if The Supreme Intelligence was a Kirby-ized version of the Shazam villain, Mr. Mind. 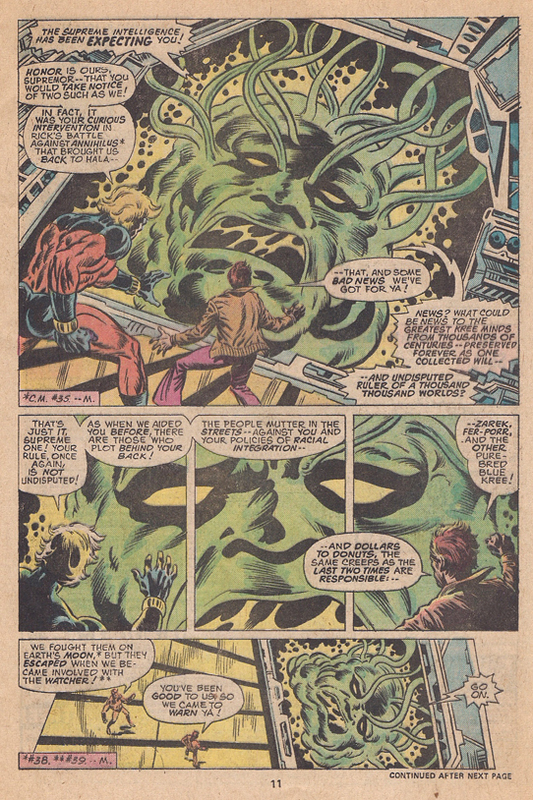 It would seem natural for Kirby to introduce an imposing character like this, who the heroes later discover is a tiny tyrant, similar to what Kirby did later on with Overlord in Mister Miracle #2. Kree Supreme Intelligence, Captain Marvel and all that jazz is TM and copyright Marvel Comics. Always loved the design/idea of the Kree Supreme Intelligence. And seriously, your theory doesn’t seem that far off. Certainly in the Kirby panel there’s the suggestion of some type of body mass behind the head. And your Mr. Mind suggestion is food for thought! Thanks, Javier. It’s some incredibly fannish obsessive stuff. There’s always an audience for that.